On my recent trip to the San Diego area, I spent a couple of nights in the very posh seaside community of La Jolla. Long known as a chic and wealthy enclave, I was excited to see a different side to the region. I was also excited to stay at the very chic and even glamorous Hotel La Jolla, which is part of the Curio Collection of hotels. I’ve had amazing luck with Curio properties around the world; their unique brand of boutique luxury meshes well with my own travel style. The Hotel La Jolla represents the best of the Curio qualities, along with a unique history all of its own. 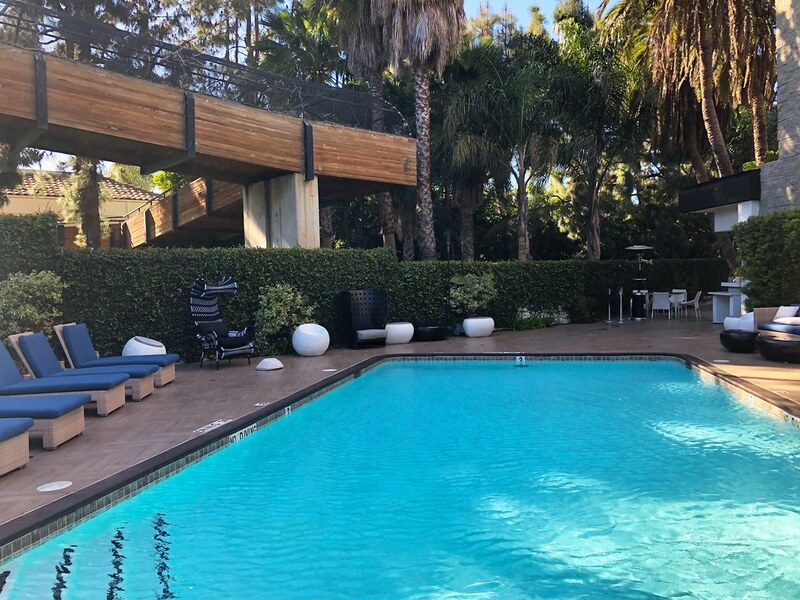 My two nights as a guest at this stylish retreat in La Jolla was a highlight of my time in the San Diego area, so today I want to share what was truly a relaxing and luxurious hospitality experience. Curio – A Collection by Hilton is a set of upscale hotels and resorts handpicked for their unique character and personality. In trade terms, Curio is known as a soft brand. All that means is that while Hilton supports the hotels, the hotels retain their own branding. The properties are carefully selected based on their character and for offering a truly unique local experience. 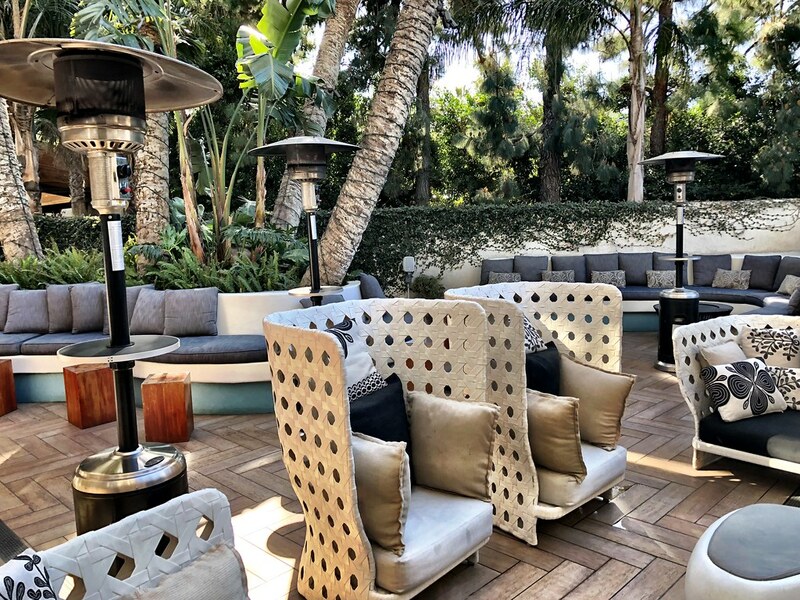 I can’t tell you how excited I was when I first learned about this concept because I firmly believe that it’s the future of upscale travel, perhaps best seen at the retro chic Hotel La Jolla. The first hotel on the site, the Summerhouse Inn, originally opened its doors in 1972, an era not well known for its architecture, but within that concrete façade is a newly remodeled and decidedly hip modern hotel. If asked, I’m not exactly sure I could describe laid-back California style, but I do know that’s exactly what the Hotel La Jolla exemplifies. A modern but comfortable lobby area is warm and inviting, with a giant fireplace front and center. Just outside is another relaxing public space, flanked by palm trees and a modest but hip pool area. That sense of retro chic luxury extends to the rooms themselves, which are incredibly spacious – many featuring balconies – with five-star amenities and are little havens of peace and quiet away from the hustle and bustle of Southern California. 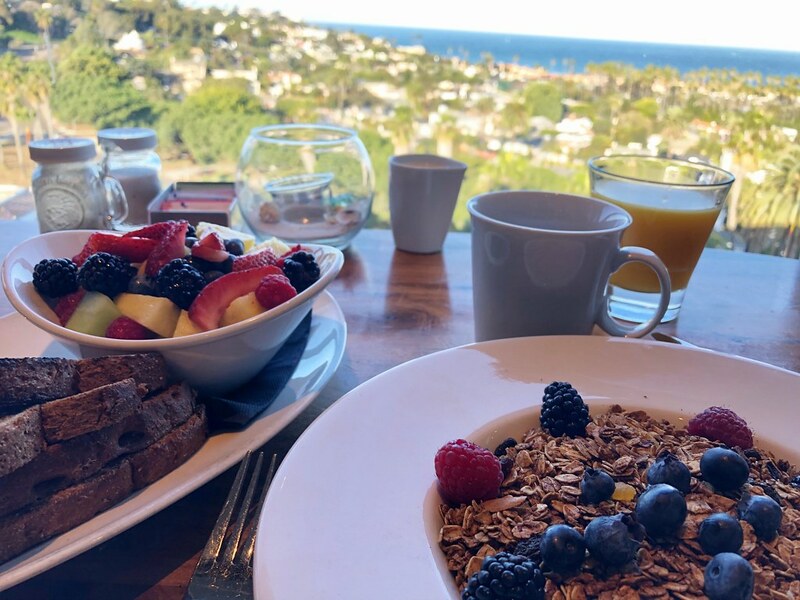 When writing about hotels, I normally gloss over the service, but it was so exceptional at the Hotel La Jolla I feel that it warrants a little extra attention. The problem is, I can’t point to one specific instance that was particularly memorable, instead service at every level throughout my stay was beyond reproach. From the valet to the front of house staff and even the housekeepers, everyone was incredibly kind and gracious and went above and beyond to ensure my stay was pleasant and relaxing. Service I think is at the heart of any great luxury experience. Any hotel owner can buy nice linens or chairs, that’s not a challenge other than financially. No, to create a truly great hospitality experience, exceptional service must be at the core and it’s something that has to be cultivated over time. Staff must sincerely want to help the guests, they have to want to create memories but, sadly, not every hotel trains with that mindset. It’s one of those features of travel that you just know it when you see it and at the Hotel La Jolla it was in great abundance. An aspect of most Curio Collection properties that I don’t think gets enough attention is the culinary side of the house. Dining options are usually unique and delicious and the Hotel La Jolla is no exception. At the heart of the culinary experience is the top floor restaurant, Cusp. 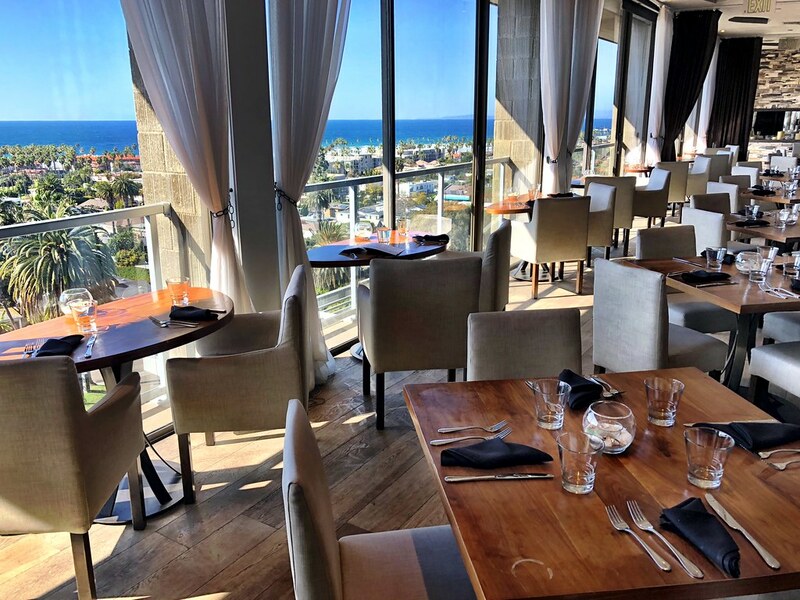 Expansive windows not only create a light and airy lounge and restaurant, but they allow for incredible views of La Jolla Shores and the ocean from the top floor of the hotel. For a light bite or just a drink, there are plenty of options including a special happy hour menu featuring local beers and wines and snacks that combine comfort with high-end appeal. Mealtimes share that same sensibility, mixing a relaxing dining experience with top-notch culinary skills. My favorite moment of the day though was enjoying a quiet breakfast with homemade granola, yogurt and views that seemed to go on forever. 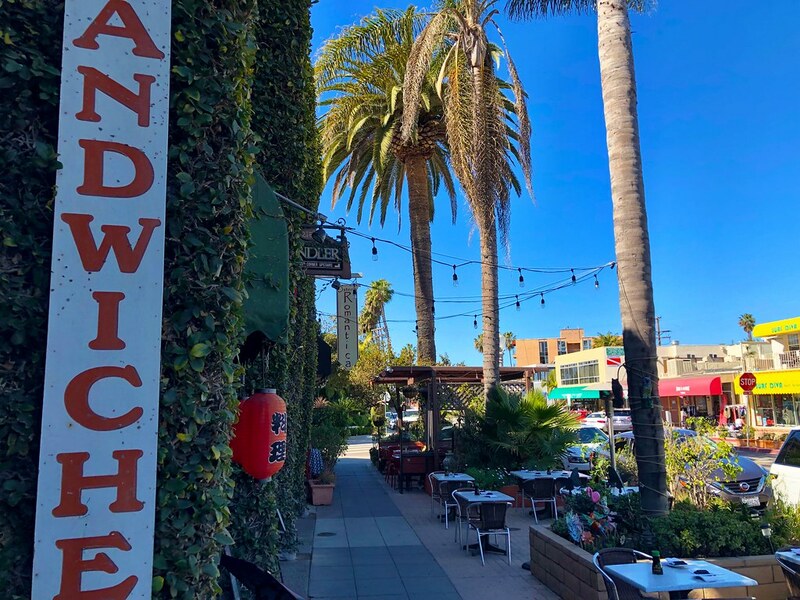 While there are plenty of great dining options around La Jolla, be sure to spend some time getting to know Cusp and enjoy the creative flair and attention to detail that makes anything you eat an event to remember. The Hotel La Jolla calls home an area known as La Jolla Shores, just north of La Jolla Cove and south of Torrey Pines. Admittedly, it’s not the best location in town. What one would consider to be downtown La Jolla proper is two miles away, which I walked easily but it’s not all that convenient. However, Uber is easy and cheap which makes up I think for any location issues. 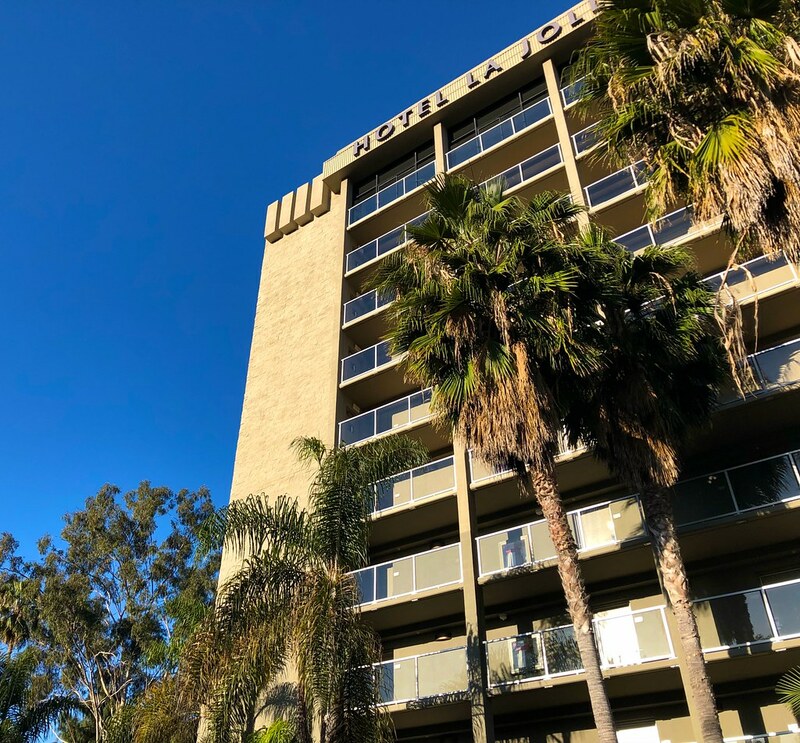 The Hotel La Jolla though is just off of Interstate 5 and is a short walk down to the beach and surrounding businesses of La Jolla Shores; a very underrated part of town. Overall, it was a great location as I explored the areas in and around La Jolla and not once did I feel inconvenienced. Looking back at my brief but memorable stay in La Jolla, I am overall very pleased with how much I managed to see and do. I truly made the best use out of my stay at the Hotel La Jolla and, for me at least, that’s an important aspect of the travel experience. A five-minute walk from the hotel is a tour outfitter with whom I joined a morning kayak tour around the waters of La Jolla. Both in La Jolla Shores and closer to the Cove I managed to eat some truly amazing meals and I even spent an afternoon roaming downtown La Jolla in a strange quest to find all of the public art murals around town. When it came time to head further afield, Torrey Pines with its famous golf course and stunning seaside cliffs was a short and easy drive. If anything, the Hotel La Jolla made me a better traveler thanks to the comfort and service provided and at the end of the day, that’s exactly what everyone wants from a great hotel.